Why and how should you define your career goals? Your career is one of the most important decisions you will ever make in your life. Why you may ask, this is because the average person spends their life working so it’s only right you make the best decision and define what your goals are. You do not want to start your life with a vague idea, as you will end up going in circles. There is a massive difference in what you want and what you need. For example you may want money but you need fulfilment in your job. Which one will you choose right here right now. The desire to fulfil your material needs i.e. paying the bill may outweigh the desire to wait on the career your heart desires. So what do you do? What will you choose? The truth is you will always have bills, this is part of life, however you cannot live your life paying bills as you will deep within your heart know and want more fulfilment in your job. The average person spends around 40 hours a week at work. This means that the majority of your time and your life will be spent at work so you have to choose wisely and consciously. The need for fulfilment should outweigh the temporary need for basic needs. Your basic needs are part of life and as Maslow’s hierarchy of needs clearly highlight that those needs must be met in order to reach your highest self, we cannot deny this fact every day necessities comes first. By taking the time to define your career goals you set yourself up to a life of fulfilment and a smooth sailing in your journey. Let’s consider 3 ways in which you can define and get clear about your career goals. See the difference between the summer job you take on temporarily and a career? One will end in the near future, the other is the end. What do I mean? A summer job may just be a job, you take to gain some extra money, and it may not necessarily fulfil you but provide you with extra cash. It’s good, maybe you’re not totally excited about it but at the same time you often need it so you show up get the job done and get the wage. You pray for Friday to come so you can get a break. A career on the other hand dedicates probably a long period of your life. There is no limit in what you invest in your career or passion. It is in fact your one of your life’s purposes; you’re passionate about it and hopefully enjoy it endlessly. The summer job doesn’t have to be your career, you can always change path as long as you are passionate for you goals. Think of your career as a way to provide value, how does it make you feel? Defining your career goal can be an emotional decision. Think about how your ideal career makes you feel, do you get excited when you think about it or is it just another means to make money. Are you excited about the job in mind or is money the target, because the truth is money is a by product of doing what you love. You will automatically make money doing what you love as long as you’re providing a service to others. People will pay you according to your value so providing value to others will ensure you’re paid for what you provide. “There is no shortcuts to anywhere worth going” the same also applies to your career. 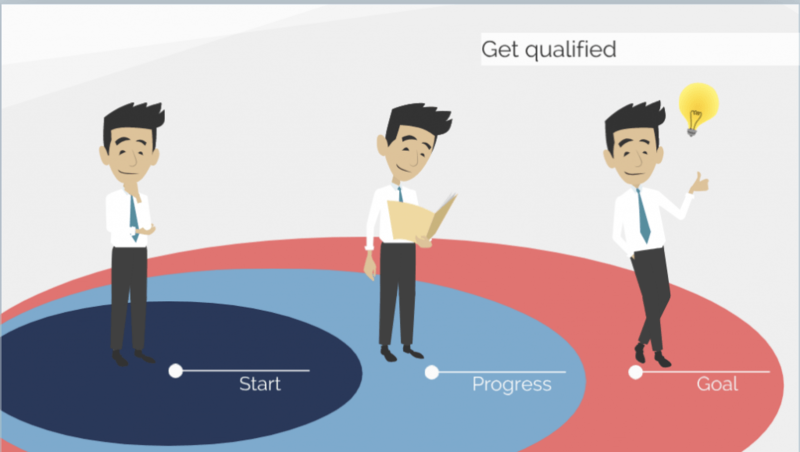 Get qualified and be an expert in your field, invest in a course or training leading to your specific career goal. Use your time wisely and get work experience that will give you hands on experience in your chosen career. Strive to master your field, avoid being scattered in many areas or fields not leading to your career. Everyone’s learning style is different, some may be better off going into higher education; others are more practical and may decide to take on apprenticeships. Whichever directions you decide to embark ensure that you get the knowledge or skills needed to get into your chosen career. In conclusion defining your career goal is the key to attaining your career; it’s the map you need to navigate your way throughout your journey. 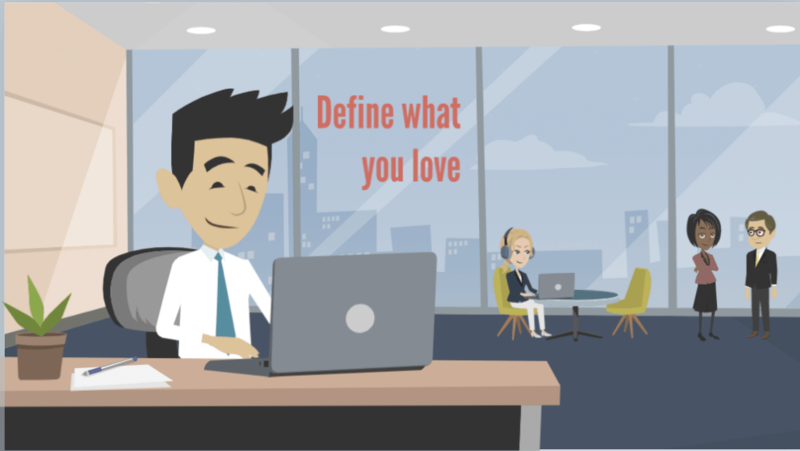 The first step is defining what you love and differentiating your passion from a job. Your job is a start and your career is the end, your career brings fulfilment and you derive joy and value from your passion. You provide value which ensures that you gain satisfaction in your work. In defining your career goals you have to get clear and distinguish your choice verses the choices of others so you can clearly identify what you love from what is being handed to you. Finally get qualified and becoming an expert in your chosen field will set you apart from competition and get you closer to achieving and actualizing your goals.